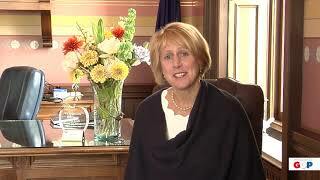 Senator Kim LaSata reflects on the importance of agriculture to Michigan's economy. 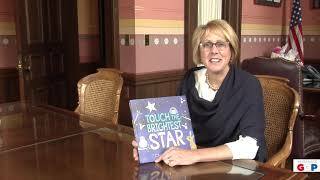 Senator Kim LaSata reminds everyone to take part in March is Reading Month! 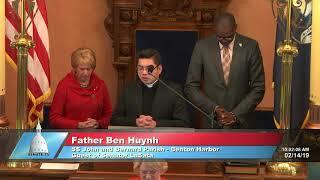 Senator Kim LaSata welcomed Father Ben Huynh of SS. John & Bernard Parish in Benton Harbor to the Michigan Senate to deliver the invocation at the start of the Feb. 14, 2019 session. 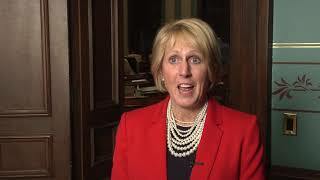 Senator Kim LaSata comments on Gov. 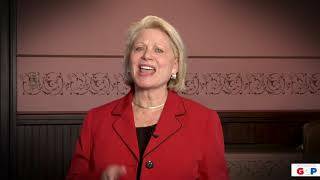 Gretchen Whitmer's 2019 State of the State address on Tuesday, Feb. 12, 2019.